Submit your Cleveland Manx news and events. 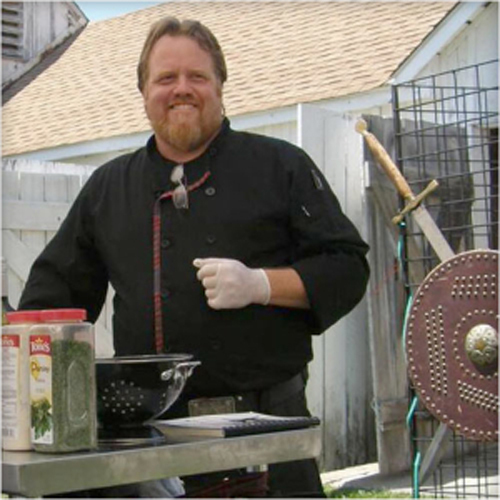 The Celtic Caterer Chef Eric W. McBride demonstrated Celtic foods at the Ohio Celtic Festival at Classic Park in Eastlake, home to the Lake County Captains. Most people think of Celtic people as those living in Ireland and Scotland, but the Celts also hail from Wales, the Isle of Man, Cornwall, Brittany in France, Galicia in Spain and Asturias. Watch as the Celtic Caterer explains Celtic food, spices and cooking. Submit your Cleveland Manx organizations and resources. Submit your Cleveland Manx jobs, classes and other opportunities. Submit your Cleveland Manx Feedback and Memories. Submit your Cleveland Manx cultural items. If you are interested in being considered to be an official ClevelandPeople.com Ambassador to the Cleveland Manx community, please contact us. If you want to reach the Manx community in Cleveland and Northeast Ohio, please contact us.